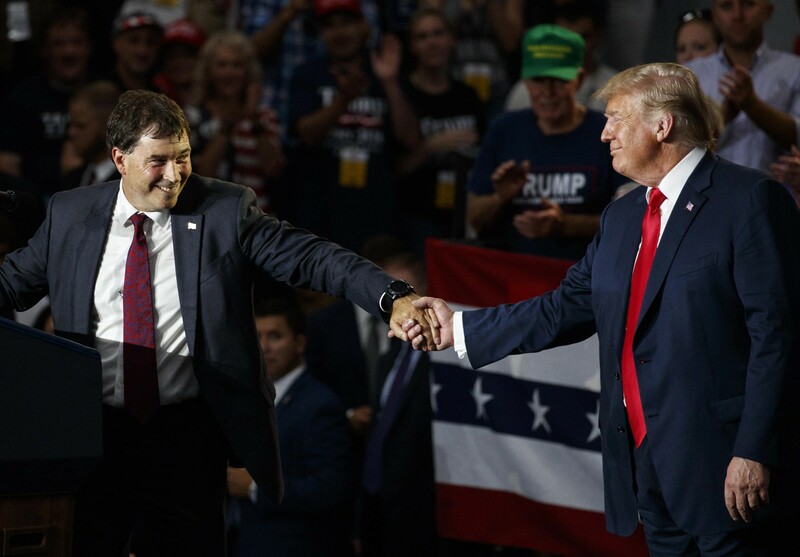 Troy Balderson, the Trump endorsed Republican candidate for Ohio's 12th Congressional District (after he remembered who was actually supposed to be endorsing) has been declared the winner in the historically bright-red district outside of Columbus ahead of Democrat Danny O'Connor by 1,754 votes. However, Balderson's win will come under a margin of victory that's less than a single percentage point. Sure, a win for Balderson offers some breathing room for the GOP, but a district that has remained Republican for decades suddenly looking a little bluer should be enough to strike panic and fear into the hearts of Republicans looking ahead to November. Perhaps most interestingly, the suburban voter turnout was significantly better by percentage than rural turnout, which could lead to concern for candidates who rely on rural voters. Ohio is a swing state due to the surge of blue votes around Cleveland, Cincinnati and Columbus in an otherwise rural and red wave, so the uptick of participation from blue voters should scare Republicans. This special election victory for Balderson will potentially be short lived, as the position is up for the midterms in just three months, offering a rematch for O'Connor. Two years ago, Trump carried the district by 11 points. The previous congressman won the seat by 36 points. Today, a Republican narrowly escaped defeat by less than one percent of the vote. November in Ohio is about to get really interesting.